In Dimark’s offer you will find a wide range of reclaim and make-up baggage carousels. Each unit is tailored to Client’s specification and building constraints. Depending on the design and specification requirements Dimark provides both flat and inclined carousels. Our baggage carousels assure easy assembly and maintenance due to the modular construction. 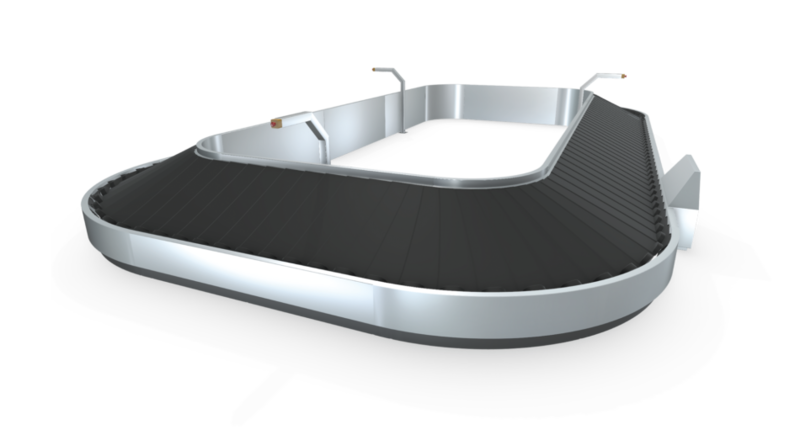 A complete circuit consists of standard straight and curved sections allowing creating the desired shape of the carousel. The carousel is equipped with a friction drive which enables very silent operation. Aluminium casted chain – very light and durable, ensures trouble-free operation. Thick slats, various colours available.